Tony Furtado follows his heart when it comes to writing music ” even if it means opening his latest album with an instrumental banjo tune, “The Bawds of Euphony,” named after the poetry of Wallace Stevens. But by the time a musician makes a name for himself like Furtado has done, and releases his 14th album (“Deep Water”), he can pretty much do whatever he wants. In fact, that’s why people seem to like him. Furtado brings his unique fusion of Americana, folk, rock and roots to Three20south in Breckenridge tonight. He’ll perform with Willie Porter. Based in Portland, Ore., Furtado traveled to Boston, away from his managers, label employees, publicists and even family and friends, to create a record true to his heart. He blended his love of slide guitar, his amazing banjo picking and his personal depth to present songs that range in emotional tone from joy and love to despair and hopelessness. Still, Furtado doesn’t let any despair creep into his live shows; in fact, he says his shows have “something to offer everyone,” including a few tales. Furtado won two national Bluegrass Banjo Championships by the time he was 19, earning himself a reputation as a banjo prodigy. But he didn’t just stick to the safety of what he knew best. Instead, he branched out musically, picking up the slide guitar and later fine-tuning his vocal talent. The slide guitar inspired a folksier feel of music. 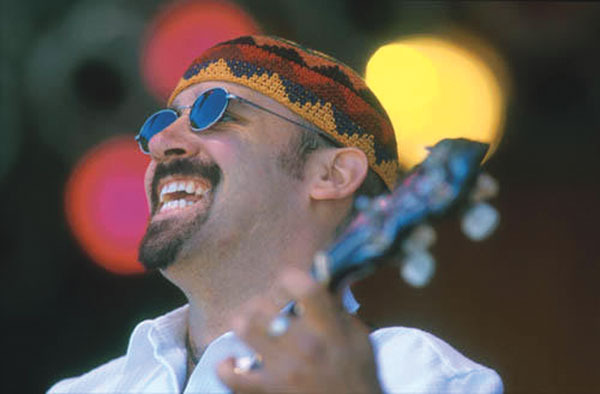 In the past 20 years, he has explored a variety of musical styles, leading him to open for musicians such as Greg Allman, Susan Tedeschi, Taj Mahal, Leftover Salmon and Eric Johnson and sharing the stage with Keith Richards, Derek Trucks and Norah Jones, among others. “I don’t think I could ever be happy staying in any one place musically,” Furtado said.